Every small group leader should complete a basic training process. Small group basic training needs to involve at least two elements. The first is an apprenticeship or time as an assistant group leader. Don’t even think about putting a new leader in place without basic training. Now on to number two. It wasn’t clear what I was supposed to do. I wasn’t sure who I was responsible to. I didn’t receive any real training or direction. No one ever told me how I was doing. I was continually asked to do more and more until it became too much. I was forgotten after I started the job. No one ever said thank you. Have you thought these seven things through with your group leaders? Basic training is not the final training stop for group leaders. Without ongoing training, you will have siloed, unhealthy groups and high leader turnover. What is going well in your group? Where are you struggling in your group? What changes are you planning to make in the next month? If you meet in groups of 2 or 3, you will find that leaders sharpen each other as they interact. Want to finally have a successful groups ministry? 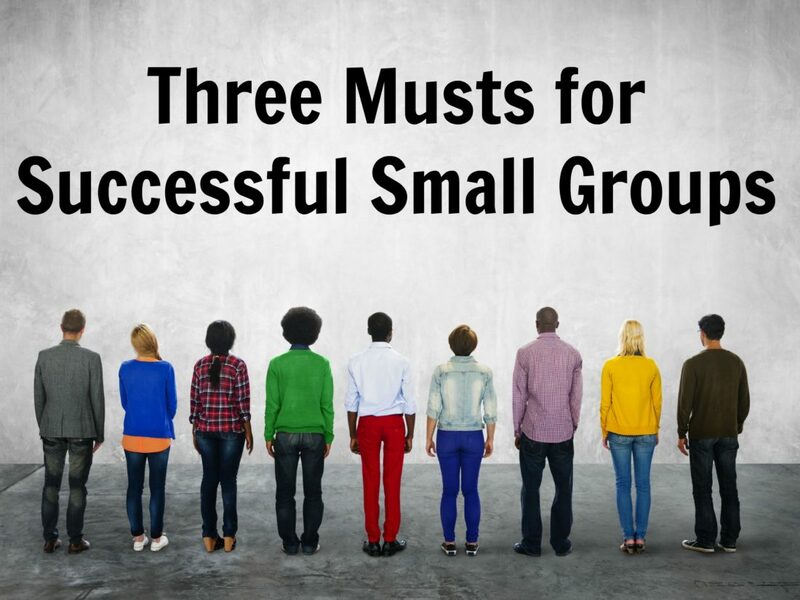 Implement all three and watch your groups move to new levels of effectiveness.